While right now most are focused on the turn of events in Egypt and how they will affect the entire Middle East region, there is an event going on right here at home that must NEVER be forgotten...the plight of our veterans and our troops as they return home…a plight made worse under the Obama administration. Every year on Memorial Day and Veterans Day, Barack HUSSEIN Obama makes oh so nice phony speeches for his photo-op library, but photo-ops do NOT a veterans crusader make. And a crusader is what our veterans need right now for the facts and problems speak for themselves. Fact: Over 67,000 veterans are currently homeless. These brave men and women who wore our country's uniform risked their lives every day to keep us safe and free at home yet when some returned home they found they had NO home to go to. And sadly, veterans are more likely to be homeless than the general population as they currently represent 14% of all homeless adults in the United States, with double that number homeless at some point during the year. And within that 67,000 figure the number of female veterans who are homeless has grown during this administration as well. Fact: The VA has been criticized for delays in disability claims as some lawmakers and veterans’ advocates say the Pentagon is falling short on its responsibilities to returning troops because of cuts due to the sequestration. 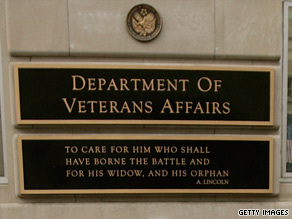 And while the VA itself is shielded from the automatic cuts under said sequestration, the personnel reductions at the Pentagon affects the over half million veterans (up from the 11,000 in 2009) that have been waiting for at least 125 days to have their benefit claims processed so they can get the help and services they need. And that delay is just for physical injuries (such as the 1,600+ who have lost a limb; the 156 who are blind; the over 177,000 with major hearing loss; and the thousands who are disfigured so badly that they may need total or partial facial reconstruction). 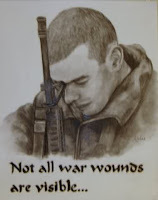 The Department of Veterans Affairs also estimates that an average of 22 veterans commit suicide each day from PTSD when they could have been helped (a number that now exceeds the number dying on the battlefield, translating into the fact that combat vets now account for roughly 20% of all suicides in this country). In fact, one study recently disclosed that about one-third of all military veterans returning from Afghanistan and Iraq were officially determined to be mentally ill by government officials examining them, yet many in authority still do NOT realize that PTSD is just as serious as physical injuries. And many, actually the vast majority of those in need of mental help, find that they have to wait more than half a year just to get an appointment at a VA facility because of the paperwork and claims delays. And veterans with PTSD do NOT have a half a year to wait for help. Fact: Today it takes military vets in need of ongoing treatment an average of seven months just to get an appointment at a VA facility, and this along with the Obama plan to limit military pay raises to 0.5% in 2015; along with a prescription drug fee increase as early as next year for active-duty and retiree families; and along with the fact that anyone who retires from the military will face higher out-of-pocket costs for health care is all just totally unacceptable. And it’s all about priorities for funding…or should I say a lack of federal funding…for our troops and veterans are just NOT a priority for this president. 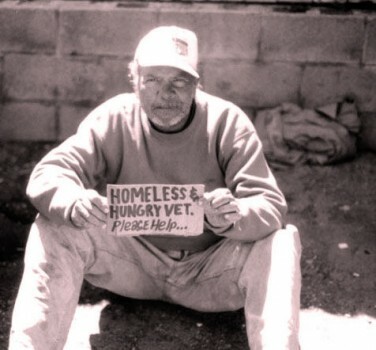 And priority funding would greatly reduce veterans’ homelessness if permanent funding both on the federal and state levels was put in place for our vets along with discharge services, affordable housing with rental assistance, supportive services for those with mental illness or those suffering from substance abuse and addiction, and for those with physical disabilities, because many of those problems are the result of service-induced trauma and injury. And if these issues were addressed when our troops were being discharged, along with the VA assessing the housing status of veterans as they leave active service, the numbers of homeless veterans would drop substantially. Priority funding would also help guarantee adequate monies for VA health care without the undue delays and restrictions currently happening. It would be nice to see both Congress and this administration working together to make sure that the advance appropriations estimated for FY 2014 are adequate enough to meet the projected demand for veterans’ health care needs, and that those amounts were authorized into the FY 2014 Appropriations Act, in addition to making sure that sufficient funding is worked into the administration’s FY 2015 request as well. It would also be nice if the Obama administration and Congress would provide a construction appropriation amount sufficient enough to address as many as five of the VA’s highest priority research facility’s construction needs in FY 2014 (as identified in it facilities assessment report) along with allocating $175 million for minor construction, maintenance, and repair funds dedicated exclusively to renovating existing research facilities. 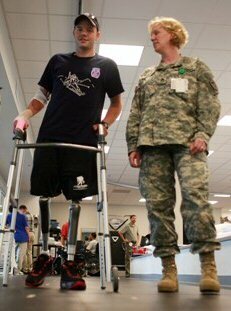 The Administration and Congress should also provide $611 million or more in funding for the VA Medical and Prosthetic research program (so many of our troops are coming home minus arms and legs…or both) in FY 2014 to allow for appropriate program growth and to cover anticipated inflation. Also, Congress should authorize a role for the Government Accountability Office (GAO) to monitor and report on VA budget formulation in the advance appropriations process. Congress should debate and consider authorizing advance appropriations for all VA accounts, NOT only those associated with VA health care, but also for those covering programs all other benefits and services that the VA provides to sick and disabled veterans. And lastly, the administration and Congress, if serious about supporting our veterans and returning troops, should provide adequate funding to support the Transition Assistance Program and Disabled Transition Assistance Program to make sure that all transition service members (active or reserve component) receive proper services through their transition period. 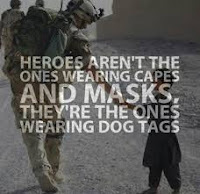 All this is the least this administration and Congress can do for those brave men and women who proudly wear or did wear the uniform of the United States of America. Getting screwed because of dollars and cents can NO longer be allowed for this president continues to take our taxpayer dollars … BILLIONS of dollars… and sends those dollars to muslim countries out to kill us instead of redirecting ALL those monies towards helping our veterans and returning troops…the very ones protecting us from those out to kill us. Our veterans and returning troops MUST take priority over anything else, because without the sacrifices of these heroes we might NOT be the ‘land of the free and the home of the brave’. It is such a shame what is happening to our heroes. You have this planned well Diane. Thank you for bring these facts to our attention. You are very welcome and like I said, without these brave heroes America would NOT be safe and free today.